DR. Cyj Hair Filler 1 ml Promo! HYALURONIC ACID and ACTIVE PEPTIDES – the formula of the Dr. Cyj hair filler complex! Helps prevent hair loss, strengthens hair follicles, promotes hair growth, with extended release technology! 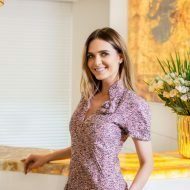 We would like to let you know about global news – Dr. Cyj’s first hair loss filler, with hyaluronic acid and biomimetic peptides, growth factors, enzymes, trace elements, minerals and vitamins. Are you tired of weak, falling and cracking hair? Then this filler complex will be just right for you! It acts through a revitalization of the skin cells and the scalp, promotes blood circulation on the surface of the head, improves blood circulation. It also revives hair follicles, stimulates hair growth, stimulates follicular growth, and prevents hair loss. How is the procedure performed and what is its effect? Dr. Cyj filler is applied through microinjection into the scalp. Ingredients are released into the skin and gradually become active during the prolonged release period, when they stimulate hair follicles and cells and promote hair growth. 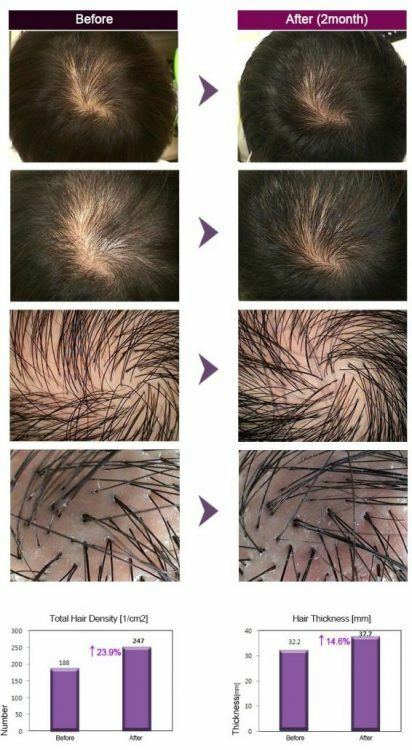 This procedure stops cell death, stimulates microcirculation, makes the scalp healthy, and prevents hair loss. 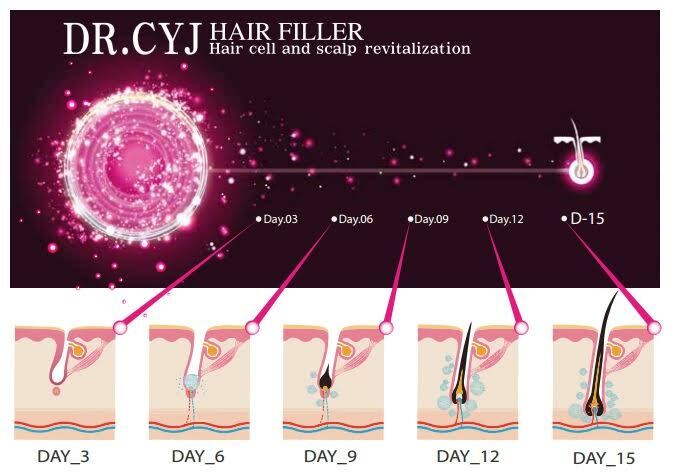 For whom and what is Dr. Cyj hair filler intended? How many procedures are required? Usually a four-procedure course is applied – one procedure every two weeks. The precise number of procedures will be recommended by a dermatologist or a beauty therapist – cosmetologist, during your visit. The duration of the treatment is individual, depending on the hair and head problems. How long does it take for the results to become visible? The first results usually appear in 15 days after 4 procedures are completed. What are the advantages of CAREGEN company Dr. Cyj hair filler?